So many books to read, so many reviews to write, and too much time spent at work. Never-mind, here’s a Dean Koontz double bill. I’ve been a Dean Koontz fan for almost 30 years, when my Uncle lent me a copy of Phantoms, which scared the hell out of me. In the years between I have probably read most of his books, even though he is fairly prolific. I wasn’t a fan of his Frankenstein series of books, as for me they didn’t really work, but otherwise I have enjoyed all of his work. Recently my wife has started to read some of his books, so with an Amazon voucher from work I bought two of Mr Koontz’s finest; Watchers and Lightning. Lightning is a time travelling thriller, where a mystery man keeps popping up to save a young girl’s life. Where does he come from, or more correctly, when? The ‘science’ part of the book is definite ‘fiction’, but it’s a great read, and the ‘when’ is not what you expect. Watchers is more horror than thriller, although it does have an intelligent dog as the hero. Apparently Mr Koontz receives more fan letters about this book than any other, and I can see why. I’ve read it at least 3 or 4 times, and will probably read it again in the not too distant future. The dog, our hero, brings together two lonely people and between the three of them they have an adventure. I don’t want to say too much as my wife is only half way through, and I don’t want to give away too much of the plot, but suffice it to say – it’s a great read. That should be my catch phrase for book reviews – it’s a great read. You can find all of my other book reviews here. It’s about time that I got round to writing about my continuous triple ironman distance race from 2016, also known as Enduroman. I’ll try to keep this report a little shorter than the one for my double ironman in 2014 (read about it here). There are loads of M-dot races to chose from each year, but for some reason there is much less choice when it comes to ultra triathlons, especially if you don’t want to race abroad. Enduroman or Brutal? The Brutal has the run going up Snowdonia, living up to it’s name, so I plumped once again for Enduroman. I’d raced there in 2013 and 2014, giving 2015 a miss. I was also upping the distance from a double to a triple. What an idiot, didn’t I learn anything from last time. Before sending off my entry fee (less than IMUK, read about my 2017 ironman journey here) I talked it over with my partner, who is now my wife. She was very supportive and told me to go for it. I knew from 2014 that I needed to run more, so I ran at least 200km a month for the preceding 6 months, running most days in the build up, as well as a 32 mile run at the Halloween Hell on the Humber. I reduced the number of times I was swimming, but did complete my longest pool swim ever, over 8km (read about it here). I also did a whole load of century rides and one double century, where I set off at midnight to simulate riding when tired. I was as ready as I was ever going to be. We took Nell (our loyal pooch) to Helen’s Mum, loaded up the car with bikes, food and tent, and off we went. It’s a long old drive from Lancaster to Avon Tyrell in the New Forrest. Tent erected, small talk with Clive and Graham, before 1 lap of the bike course. Race briefing, plenty of familiar faces and an early night, although someone decided to crank out some Queen. The triple started on the Friday at the ungodly hour of 9am. More than enough time to borrow a reflective vest off Clive, as mine wasn’t reflective enough for riding at night. The lake isn’t particularly big, and I can’t remember how many laps were required, but I think it was about 40. A short swim brief from Dan and we were off. There were only 18 entries for the triple, along with half a dozen doing the 3-2-1 swim, which was a triple distance swim on the Friday, a double swim on the Saturday finishing off with a single on the Sunday. As you can see from the photo below it wasn’t your usual mass swim start. The guy without the wetsuit is Nick Thomas, who tragically died later in the year attempting to swim the channel. I only met you a couple of times but you were unfailingly friendly. Far too young. One of the funny things about ultra tri’s is that very few of us come from a swimming background, so there would be a few finishing close to the 8 hour swim cut-off. I’m smiling in the photo below because I’ve only got a couple of laps to go. Each lap we had to swim alongside a jetty and shout out our number, and this year I managed not to lose count. One of the other competitors had placed a large clock on the bank, so we could see the time ticking slowly round. On your last lap a message would be relayed from the lap counters to your support crew so that they would be ready to help. As you can see from the photo below the swim had taken a large bite out of me, although I was fifth out of the water in a time of 3 hours 51 mins. (Strava swim activity here). I made my way to the changing tent, with the help of my wife, removed my wetsuit and changed into cycling gear, and then sat down for lunch. Not your usual transition as I took 41 mins. The bike course involved 29 relatively flat laps, which got progressively hillier as the days wore on. There were also problems with rubbish drivers, new forest ponies and cattle grids. My plan was to use my Fuji Tri bike (photo below) during daylight and my Scott Addict (here) at night. Nutrition wise, my plan was to eat real food as much as possible, and then have a proper sit down meal twice a day. In my first bike session I managed 7 laps, although the swim had taken far more out of me than I had expected, with my neck, shoulders and elbows all feeling it. My right wrist was also hurting from going over cattle grids at speed on my tri bars. A couple of laps into the bike course it was a pleasant sight to see Chris Wild with Helen at the race HQ. He had crewed for me during my double in 2014 and it was great to have him back once again. Hot food, coffee and trifle and I was ready for the first night session. I didn’t eat all of the trifles, but I did have 2 or 3. Out on the Scott and I started to feel better, and had soon knocked out another 6 laps. Before the race I had decided that if I felt tired, dangerously tired, I would stop for a sleep, and on my 14th lap I almost nodded off. I would have liked to have gone over half way, but I climbed off the bike, handed it to Chris and headed to the tent for a few hours of sleep. Helen had gone to the tent a couple of hours earlier, having decided that she crew for me on her own in the mornings, and Chris would do the evenings, with both of them crewing in the day. A few more laps the next morning, breakfast followed by a 30 minute power nap, before pushing on through the day to finish the bike leg in 29 hours and 11 mins. Initially I had hoped to complete the bike leg in under 24 hours, but as I said, the swim had taken it’s toll. (Strava bike activities here, here, here and here). Finishing the bike coincided nicely with tea time, and another 30 minute transition. A quick change into running gear, and off I went “running”. The run consists of an undulating technical 1.1 mile lap, which had to be completed 72 times. I managed 11 laps before I slowed so much that it made sense for another sleep. In the tent I woke Helen up with some of the most noxious pumps ever, sorry about that. Three hours later and off I set once again. Chris climbed out of his camper van in time for breakfast and was amazed to see that I’d knocked out another half marathon. Like most competitors I was running the downhill and flat bits and walking the uphill, although this still meant that each lap would take 20 mins. Walking a whole lap seemed to take forever. I had specifically told Chris and Helen that I didn’t want to know my position in the race, as as far as I was concerned I was only up against myself. Plus, a good friend had come unstuck in 2014 racing the triple (read his blog here). After the race I found out that there were two people hot on my heels who closed the gap on me every time I stopped for a rest, but once I started again I would pull away. One of them was walking the “run” wearing a pair of big walking boots. That would have been embarassing if his run had been quicker than mine. I did however know that 1st and 2nd were having an epic battle, and had decided to run together until half a lap to go, whereupon they would race to the line. I had completed 2 of the 3 marathons, so I sat down with Helen and Chris to watch them finish. It was unbelievable watching these two guys all out sprinting to the finish line after 50+ hours of racing. Only 1 marathon left for me, so off I plodded. One problem I had was that ever time I stopped for a break it would take me a whole lap to get running once again. The advice from one of the other runners was obvious, don’t stop. The lowest point for me came with 13 laps to go. My feet were killing me, so Helen massaged them with neurofen gel. I knew at that point I could finish, I wasn’t sure if I wanted to, as I couldn’t face another 6 or 7 hours. A hug and cry with Helen and off I set once again, determined not to stop until I was finished. Getting down to single laps to go was a real boost, and Chris had placed a box of edible goodies on a bench on the opposite side of the run lap, which was nice. As with the swim I wasn’t having any trouble remembering what lap I was on. When I crossed the start/finish line with 5 laps to go, Helen, smiling, told me I only had 6 to go. Also smiling, I told her she could f*ck her 6 laps and that I was only doing 5. Soon it was time for my last lap, and at Enduroman this is done in reverse, so you get to see everyone. I had high-fived a very tired looking Matt Pritchard earlier in the day when he was on his last lap to finish in third place. I found this last lap to be very emotional in 2014, but this year I was just happy that it was over. The run had taken me 24 hours and 8 mins. (Strava run activities here, here, here and here). Hugs at the end, followed by a chicken dinner before being helped back to the tent. Helen asked me if I wanted more food. Yes please I replied, and then two minutes later I was fast asleep. I finished in 7th place in a time of 58 hours and 23 mins, with only 5 DNFs. Not surprisingly it took me most of the summer to recover and I’m still not sure if I’ll ever do another long distance race, as at the moment I’m enjoying just going out cycling and taking it easy. At the end of last year at the COLT Christmas do, I was awarded a trophy. Biggest idiot award I think, although Chris made a great speech. Finally, there is no way that I would even have made the starting line if it hadn’t been for my wife, Helen. She has also promised to write about my triple, from the point of view of a support crew and loved one, which should be interesting. Yet another book about long distance cycle touring. Good Vibrations, Crossing Europe on a Bike Called Reggie by Andrew Sykes. This one is slightly different from the others that I’ve read recently, as Andrew has a bigger budget. This means that he doesn’t wild camp and isn’t averse to staying in the occasional hotel, but mostly he stays in pleasant campsites with showers and other amenities. Interestingly, one of the first campsites he stays in is almost in the centre of London. The route that he takes is based on the pilgrimage by Archbishop Sigeric over a thousand years ago, who walked from Canterbury to Roma. Luckily this route can be cycled along Eurovelo route 5, if you can find it. Andrew spends a great deal of time online before setting off trying to find the actual route. I also liked the fact that he doesn’t really know how to repair or even look after his bike, which is good to know. He’s written a follow up book, cycling from Spain to Scandinavia, which I intend to look out for. In my last book review I wrote about a pair of cyclists who rode across Siberia, in the winter (read it here). This is the other guy, Alastair Humphreys. In Moods of Future Joys he describes the first half of his round the world cycle ride, over a year before his ride from Magadan, although Rob Lilwall does ride with Alastair for a couple of weeks in Ethiopia. Al has a very different writing style, and unlike the other book in this review, he is doing it on the cheap, very cheap. He also doesn’t hide the fact that there were many times that he felt like quitting. Halfway through Europe and the 9/11 terror attacks occured, meaning that Afganistan and Pakistan were no go areas. I was impressed that Al decided to head south through Africa instead. A measure of a good book is would you buy another by the same author and for both of these authors the answer is yes. You can find all of my book reviews from this year here. June 17th 2017 will go down in history as the day of the squarepocalypse. This only means something if you use Veloviewer, and like to keep track of your explorer score. I’ve blogged about how much I enjoy the explorer score function and my maximum explorer square here. Last week Veloviewer had a tweak with the algorithms, making everything more accurate. The result is that my total number of squares that I have visited went down from 6265 to 5816, and my maximum explorer square from 15×15 to 12×12. The Veloviewer blog explains all of the reasons behind this change, and how it works here. Interestingly a couple of squares which I now haven’t visited are located only a couple of miles away, so they will be easy to add, others not so much. Thankfully last week I was touring Scotland with my beautiful wife, adding another 500 new explorer squares, taking me above my previous score of 6265. Additionally, Veloviewer has added a maximum Cluster score. This is explained far better than I ever could on the Explorer Square blog, here. The image below is my maximum cluster of 597 tiles. Increasing the size of this will probably be easier than trying to enlarge my maximum explorer square, and if I add those two squares nearby it should add another 5 or 6 to my cluster score, which I will try to do in the next week. I’ve set up a new blog site, just for air quality. You can find it here. 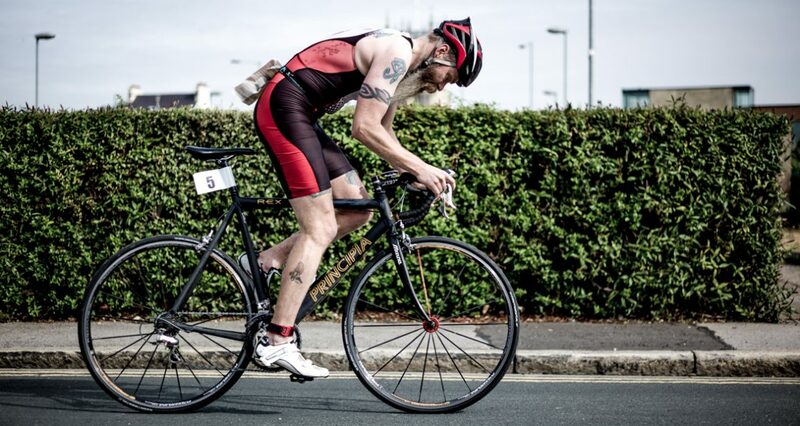 My primary blog, Beards and Triathlons, doesn’t really work with the air quality stuff, which is why I’ve moved it all elsewhere. It goes the other way as well, as people interested in the air quality around Lancaster are probably not too interested in random book reviews, cycling stats and triathlons.